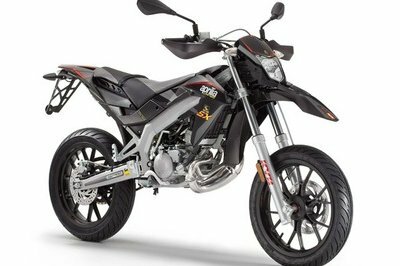 If you want to enter in the world of motards and you are looking for a less aggressive motorcycle, then you should take a closer look at the Aprilia SX 50. 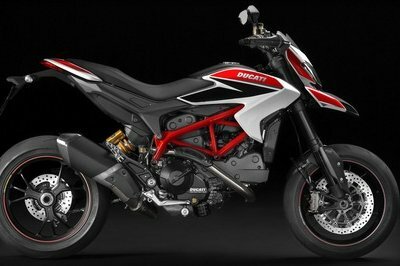 This compact model is fitted with the latest technologies developed by the Italian manufacturer and promises to deliver first class performances in terms of ride and handling. 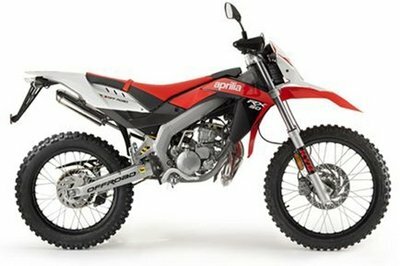 The Aprilia SX 50 is powered by a 49,9 cc, single-cylinder, two stroke, liquid cooled engine which is kept under control by a six speed transmission. 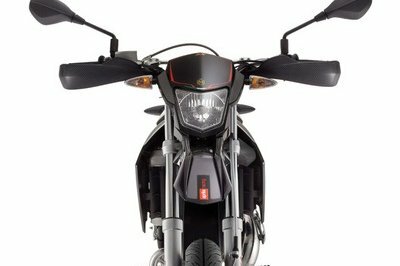 The motorcycle’s backbone is represented by a light, but stiff perimeter frame made of high strength steel. The frame is combined with a Marzocchi tele-hydraulic fork (195 mm wheel travel) and a steel swingarm with an advanced hydraulic shock absorber. 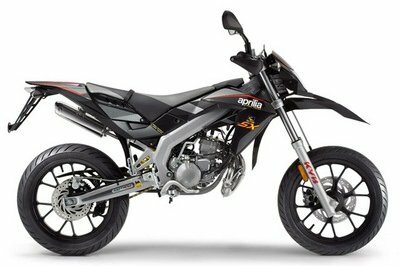 The Aprilia SX 50 is offered with a starting price of €3.956. 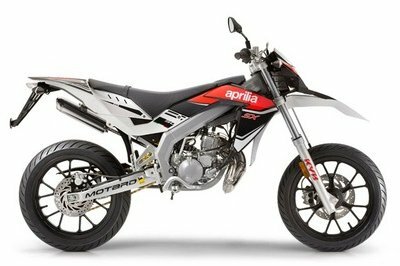 Hit the jump for more information on the Aprilia SX 50. 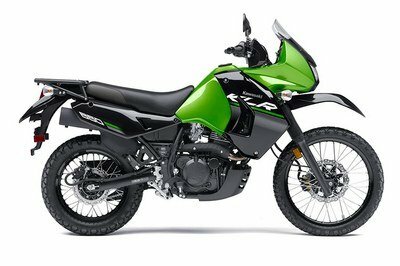 The perimeter frame is made of high strength steel to better absorb the stresses of sports riding, a combination of strength and lightness. The mighty Marzocchi tele-hydraulic fork provides a travel of 195 mm, more than enough to absorb even the hardest knocks, as the rear wheel with a considerable travel of 180 mm. 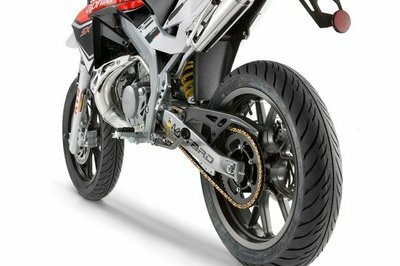 The high-strength steel swingarm moves an advanced hydraulic shock absorber. 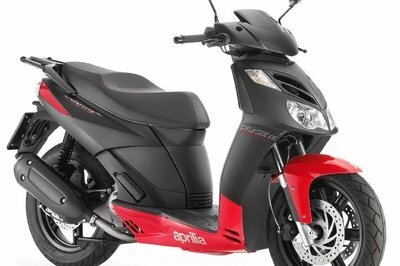 Engine Aprilia single-cylinder, two stroke. Front suspension Ø41 mm telescopic fork. Wheel travel: 195 mm. Front brake Stainless steel disc (Ø 260 mm). Floating caliper. Metal braided brake line. Rear brake Stainless steel disc (Ø 180 mm) with single piston caliper. Metal braided brake line.